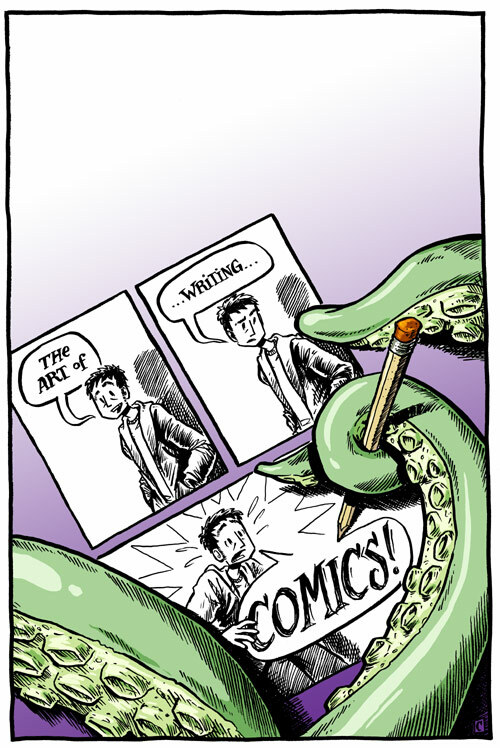 A Diary of a Work in Progress: Who knew that octopi held the secrets for good comic writing? 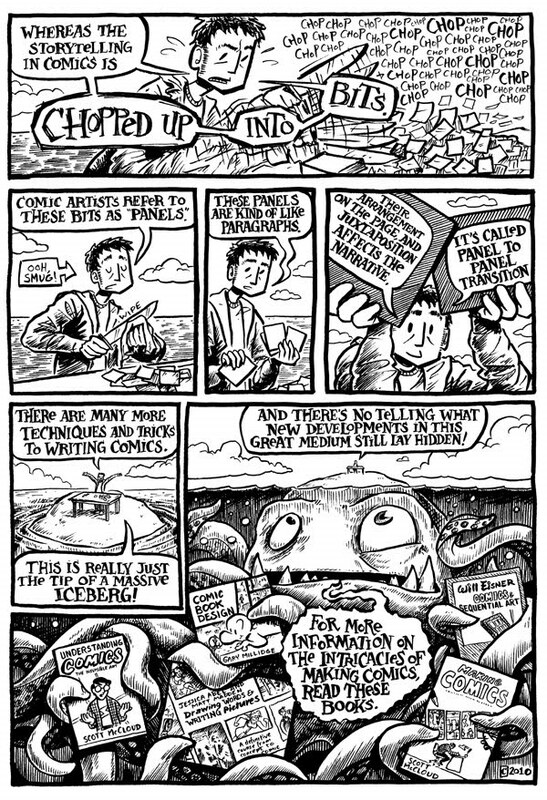 Who knew that octopi held the secrets for good comic writing? Wow, I just drop off the face of the earth for a few weeks at a time, hey? Rest assured, I'm still working pretty hard at things, I'm just not allowed to publish much of it on the blog due to all sorts of contractual obligations and whatnot. Well, here's one thing I can publish. 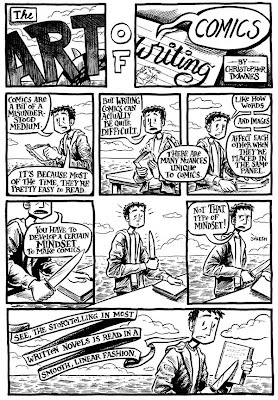 I did a two page comic about writing comics for a magazine in New South Wales called Newswrite. It's the publication of the NSW Writer's Centre. For those of you who live in this grand state and are of the literary mind, you should sign yourself up with them. They've got good taste in cartoonists, that's for sure. 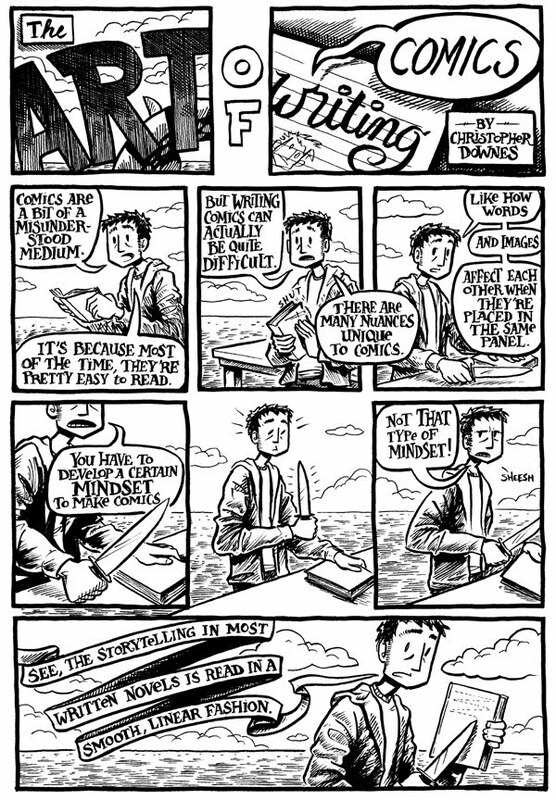 One of the things that I wanted to keep in mind while I was writing this comic was that the intended audience would most likely be writers, so I wanted to approach things from a writer's standpoint. That's one reason why I don't go into much of the artistic side of things. That, and I didn't have enough pages to delve any further. Wow this is really good Chris. Great to see some new work too! 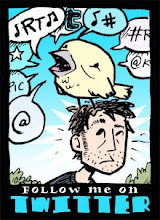 THere is so much that is wonderful about this comic! 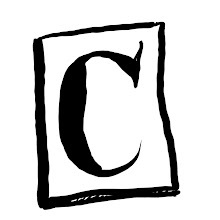 Every bit of your information is conveyed in a creative way. 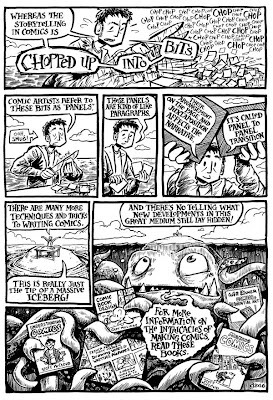 Love that the tip of the "iceberg" is the octopus from the first page. You are a master. Thanks for sharing that! chris, you blow my mind. Thanks guys! I'm very proud of this one and I really want to do more in this vein. Your work is so beautiful. Really, man. Gorgeous! I get your point, too: I read "Bottomless Belly Button" in, like, two hours, and it took Dash Shaw about two years of struggle to make it. 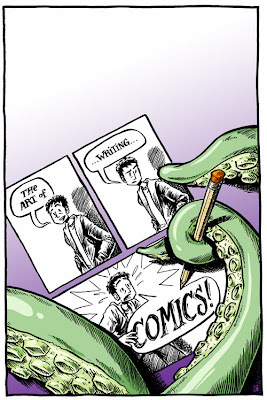 It takes A LOT of work to make comics so easily readable.